I'm a bit of a n00b with the Apple /// and BOS, but when I attempt to install ADTPro-2.0.1 under BOS, it seems like the character set is all wrong and the display is garbled, although ADTPro is definitely running. I've got BOS running on the Profile, which is pretty slick. I've got the ADTPro virtual serial drive driver installed in BOS, which is ok. It's not terribly convenient to use the virtual serial drive for each floppy disk image. I'd really rather launch ADTPro its self to write images from serial to floppy. I suspect it's a 40col vs. 80col issue, but I haven't figured out any BOS settings to make it happy. Any ideas? use the apple ][ emulator that should get rid of any incompatibility. 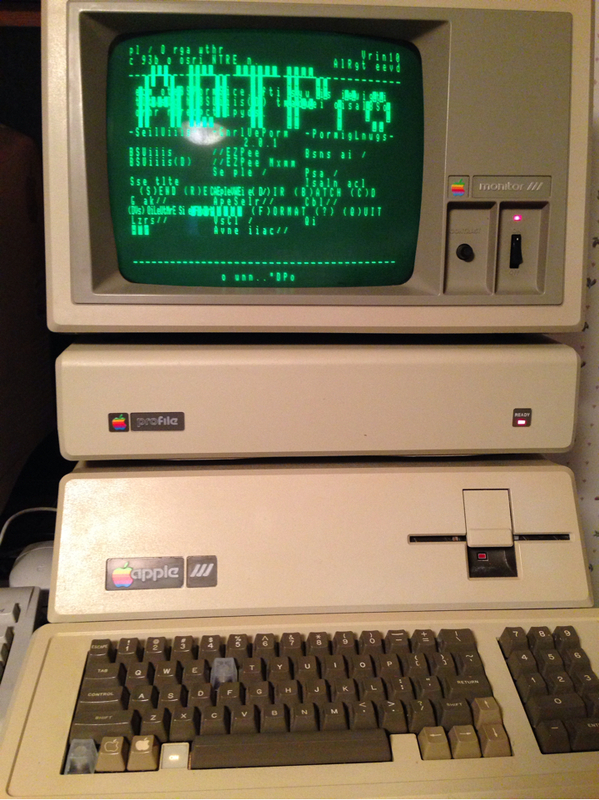 Since the /// is not apple ][ native is why your having issues. There is a /// native version of ADTPro that I'm using, and it works fine when loaded from floppy. BOS lets you store programs on the Profile, and then run them directly from the profile instead of requiring booting everything from floppy. It has a bunch of configuration depending on the type of the program (pascal, basic, etc). I'm guessing it should have some kind of video mode configuration, but I'm not really sure.